Perhaps the most prominent clinical feature associated with an eating disorder, poor body image is multidimensional. Thus, it’s not only about one’s dissatisfaction with size, shape or weight. It includes a person’s attitudes and perceptions. Providing an enlightening approach to eating disorders, Hilde Bruch’s observations note the link between body image disturbances and core features such as poor interceptive awareness and feelings of ineffectiveness. In essence, Bruch’s research laid the groundwork for treating eating disorders as serious medical conditions, not simply dieting decisions. As such, research continues to support the relationship among body image and temperamental characteristics. Though the “fear of becoming fat” is a primary component of eating disorders in Western culture, other countries do not always share this fear. In fact, some individuals restrict their food because they have an aversion to specific textures, or because they have allergies to specific foods. Others report spiritual reasons or a fear of choking. Therefore, poor body image is not always the main factor in an eating disorder, and not every individual with a disorder will present at a low weight. Even so, dissatisfaction with one’s body can be considered a precursor to the development of an eating disorder. Similarly, for those recovering from an eating disorder, poor body image remains a primary reason for relapse. 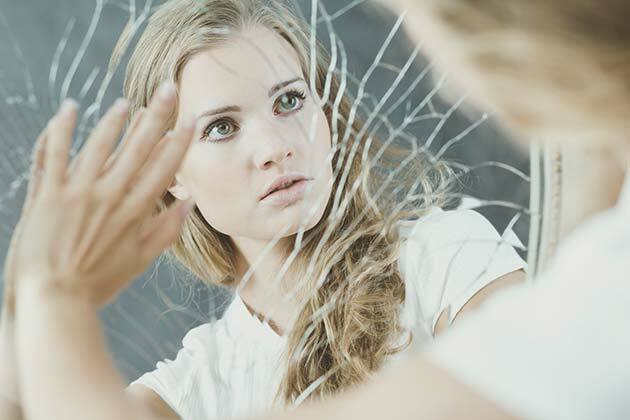 For individuals with poor self-image or those with eating disorders, it’s likely that friends, family and colleagues have pointed things out along the way. Yet, telling someone that they shouldn’t feel the way that they do about their body is not enough. To move towards a healthy, positive self-view, patients must learn how to challenge the negative messages about their bodies, both internally and externally. Triune Therapy Group helps patients do this by teaching them the skills needed to empower the way that they think. Our professionals combine individual sessions and group therapy as part of a comprehensive and intentional therapeutic approach. It’s our aim to help women and men alike stop judging their bodies and begin to appreciate them instead. To speak with our professionals in a private consultation, contact Triune Therapy Group.